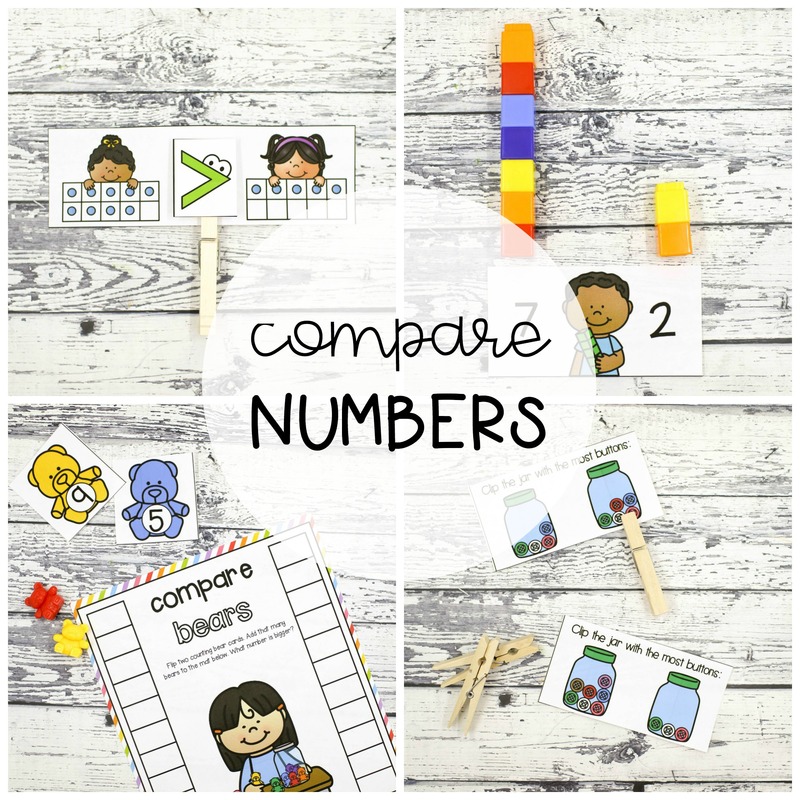 Working on comparing numbers?! 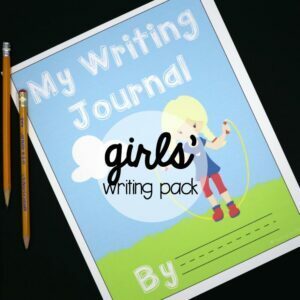 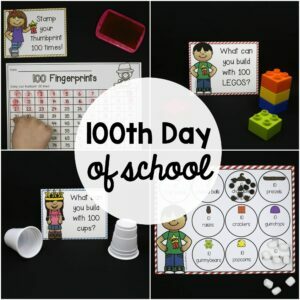 This mega pack of motivating, hands-on activities is a must-try. 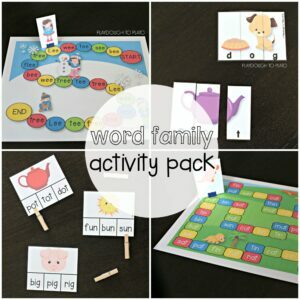 All eight games include easy ways to differentiate so you can quickly stretch students who are ready for a challenge or provide support for kids who need extra practice. 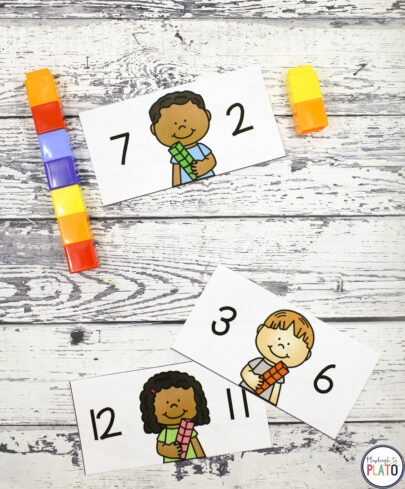 The eight comparing numbers games are perfect for preschool or kindergarten! –> Alligator Crunch. 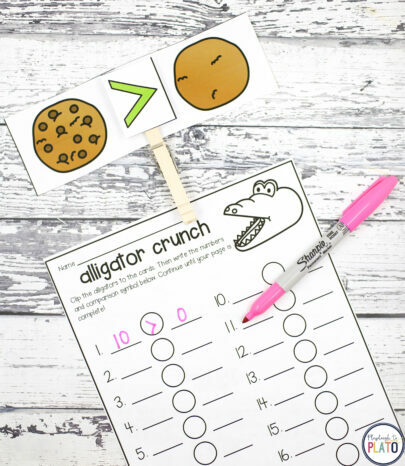 Help your alligator eat the cookie with the most chocolate chips. –> Block Towers. 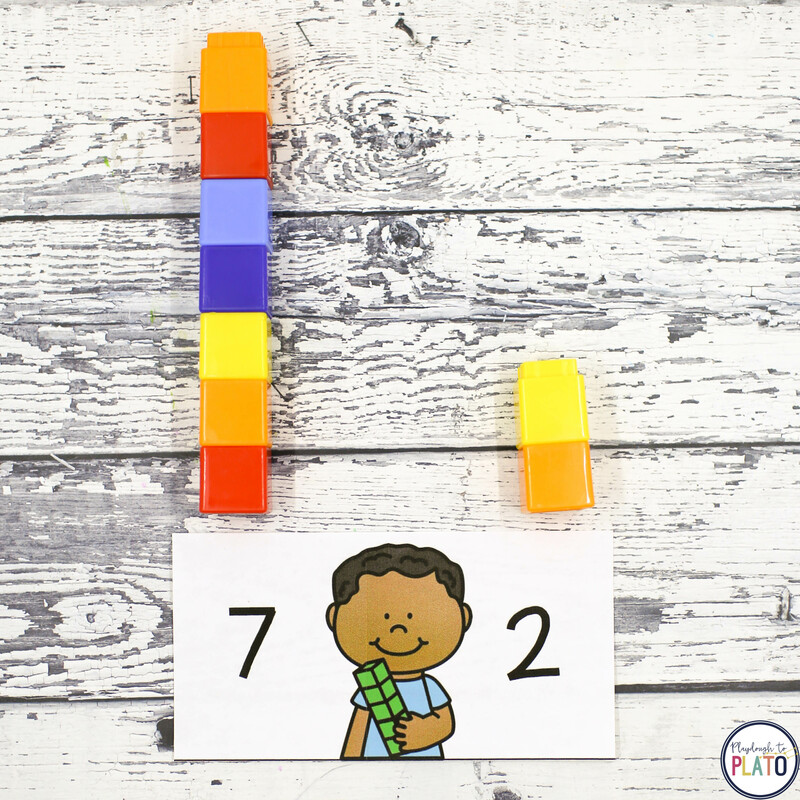 Use unifix cubes or LEGOS to build and compare number towers. –> Ten Frame Clip Cards. 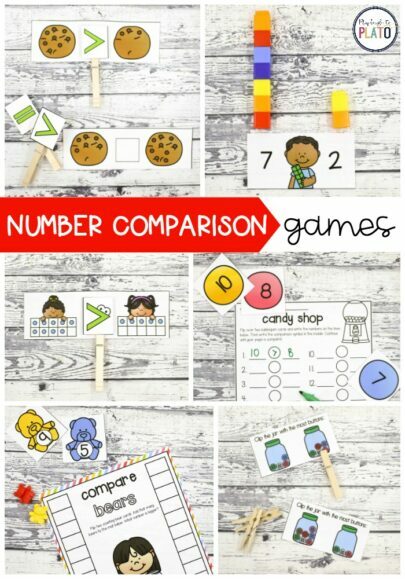 Compare the ten frames and clip the correct comparison symbol in the middle. 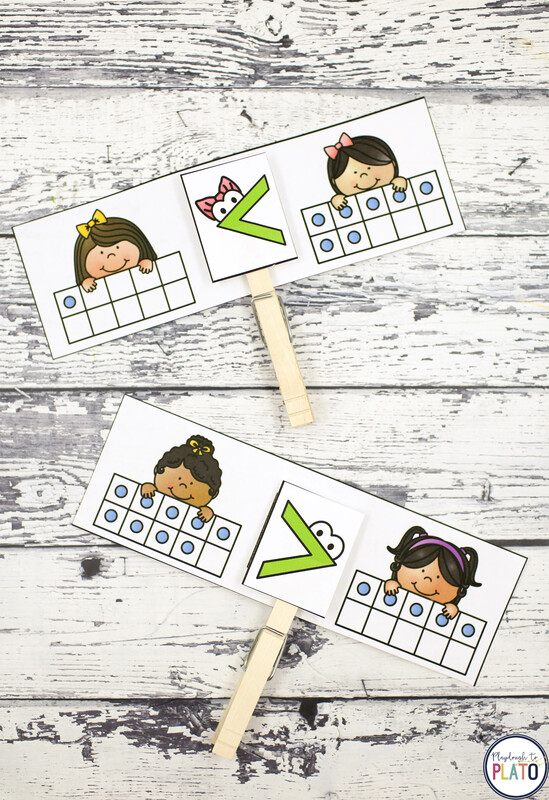 –> Roll and Compare. 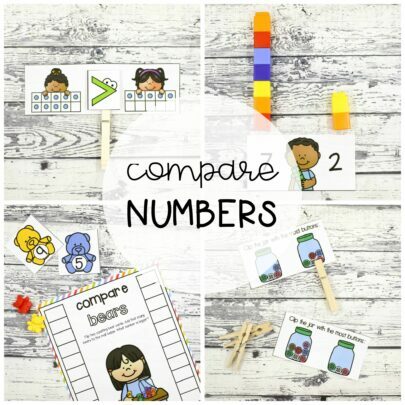 Roll the dice and write the corresponding comparison. –> Number Munch. 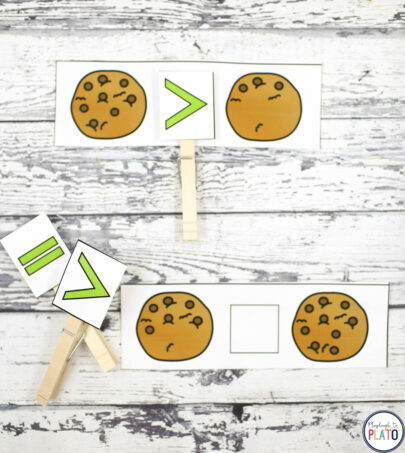 Complete the number sentence with the correct symbol. –> Compare Bears. 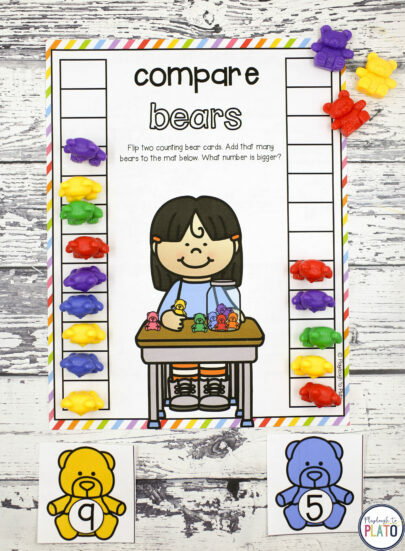 Compare two sets of counting bears to find the biggest number. 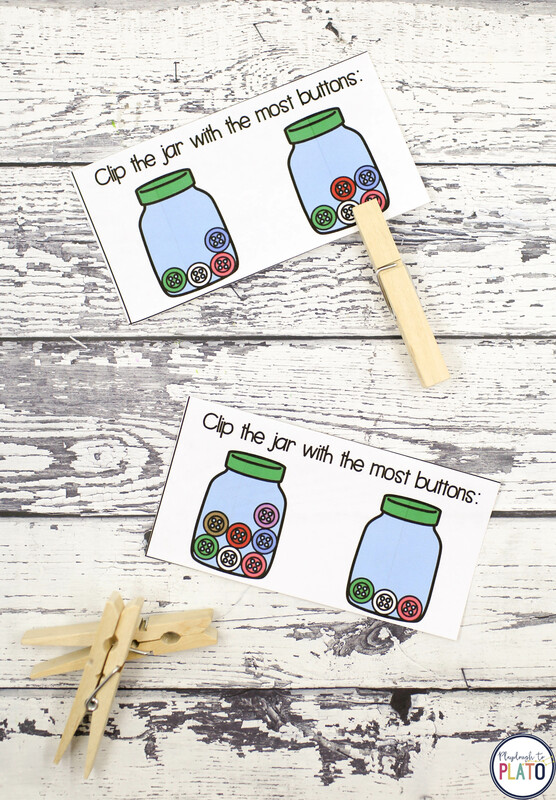 –> Button Jars. Count the buttons in each jar and clip the one holding the most. 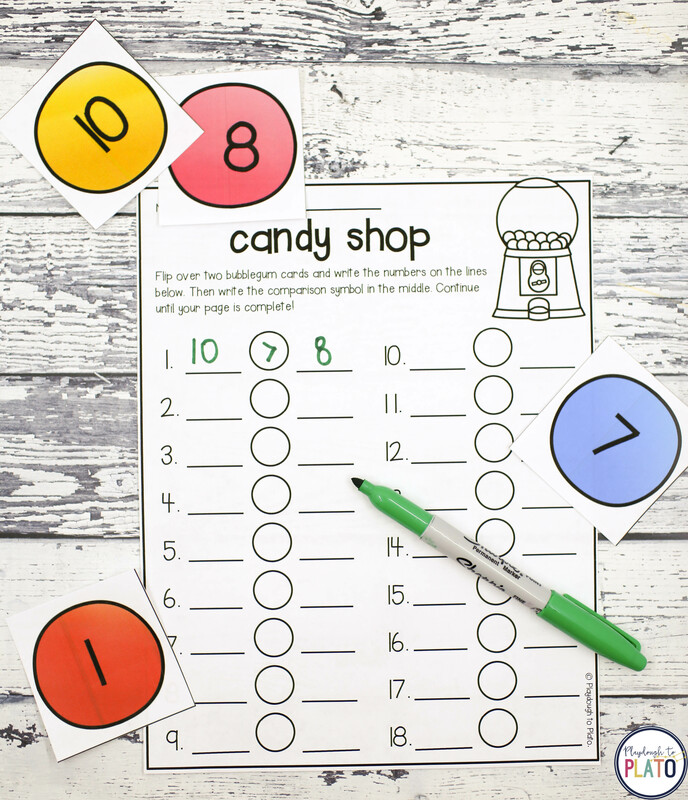 –> Candy Shop. Flip two gumballs and make a number sentence.